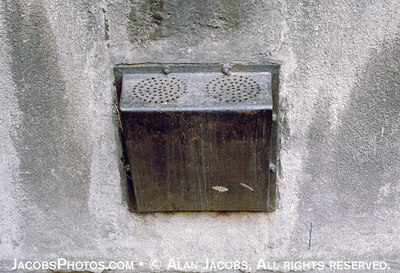 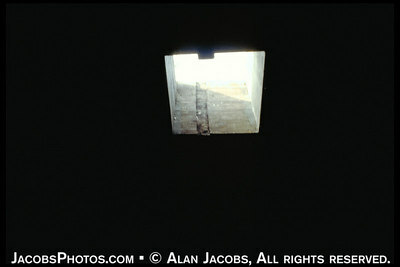 This was the only ventilation for a basement cell in the Auschwitz 1 punishment center, Block 11. 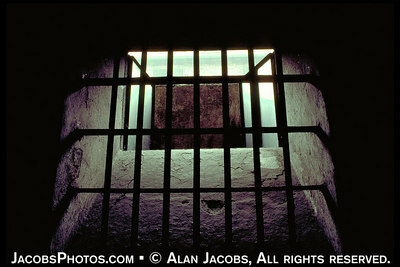 As many as twenty prisoners were crammed tighty into a small cell and left to suffocate. 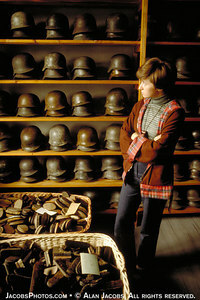 It has always amazed, the thoroughness, the meticulous atteention to detail merely to surround the innocent. 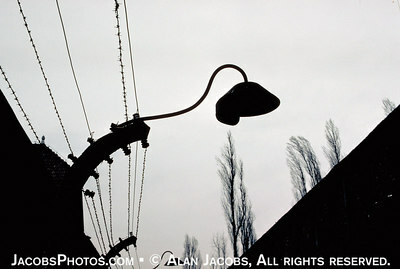 Auschwitz I lamp on the electrified barbed wire fence; a lamp with no light. 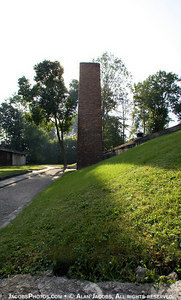 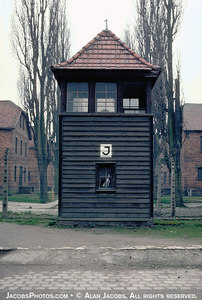 Guard tower in Auschwitz I. 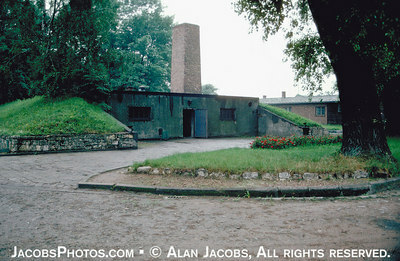 The barracks in the background are two story brick structures built with prisoner labor. 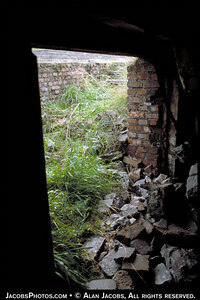 Cell window in Block 11 basement. 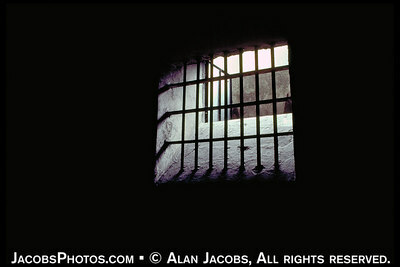 Little walls were built around these windows so that all the prisoners could see was the top of the building across the courtyard. 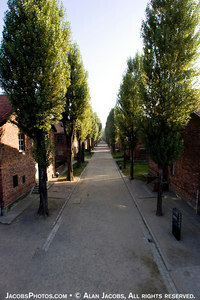 The was done to prevent them seeing the executions by shooting against the "Black Wall" in this courtyard. 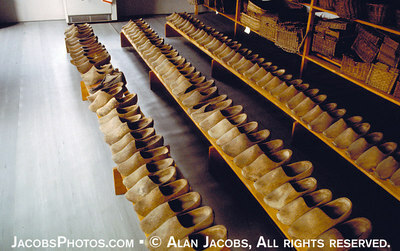 Yes, they could hear them. 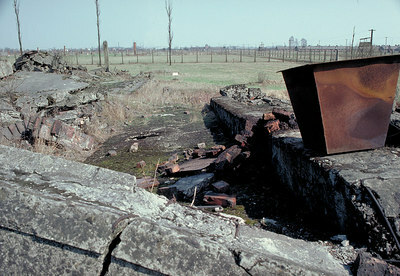 Birkenau 1979. 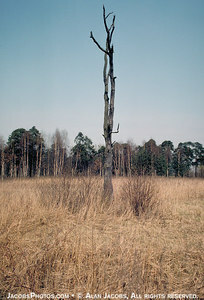 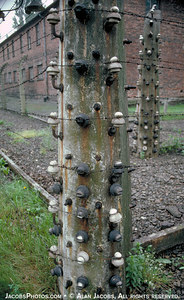 This tree would fall from time to time and was periodically raised by then Birkenau caretaker Urbaniak. 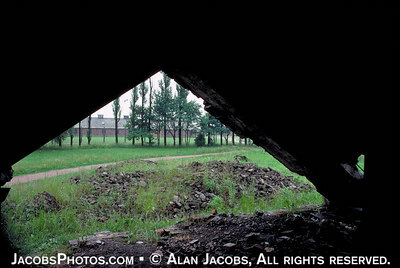 It was in "Kanada", the place where all the possessions of those taken off the trains were stored in many barrack/warehouses for shipping to Germany. 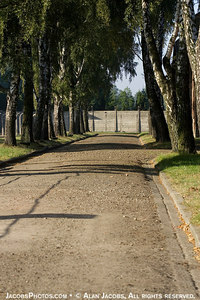 They were destroyed in advance of Russian liberation of the camp. 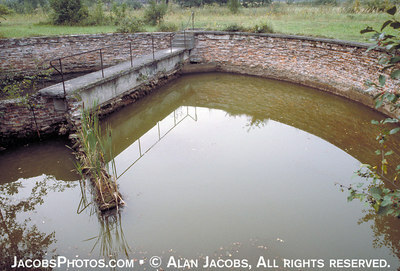 It was nicknamed thus because it was a place of abundence. 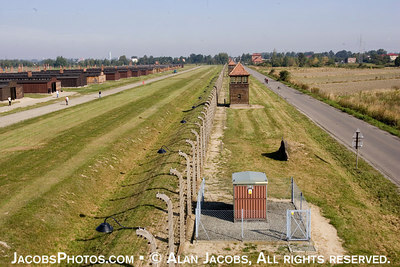 See U.S Memorial Museum photo archive: Go to http://www.ushmm.org photo archive and search for Kanada/Birkenau. 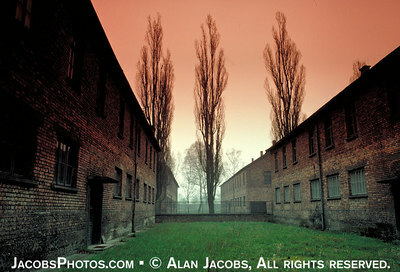 These are actual photos taken by the SS. 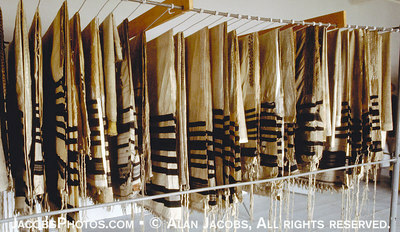 Jewish prayer shawls (Tallis') stolen from those deported to Auschwiz hanging mutely in an Auschwitz Museum storage room. 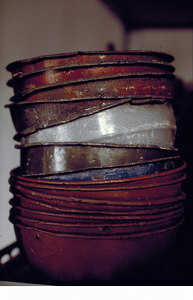 photo 1979. 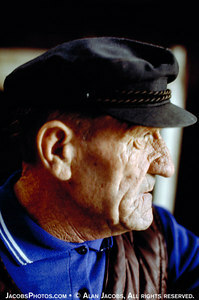 Urbaniak, the Birkenau caretaker, 1979. 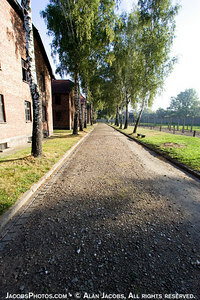 The Ramp, where over a million people were unloaded off freight trains and sent to their deaths in the gas chambers. 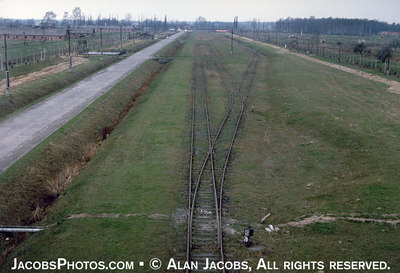 photo 1979 For interactive map of Birkenau go to http://www.remember.org/camps/birkenau/index.html For painting of the ramp's daily activity go to: http://remember.org/then-and-now/tn07.html If you click on the painting a photo of the same scene will appear. 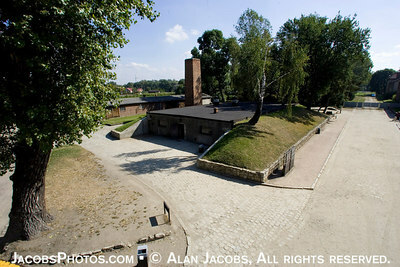 I arrived in Poland in June 1979 just a week after Pope John Paul II had conducted a mass at Birkenau. 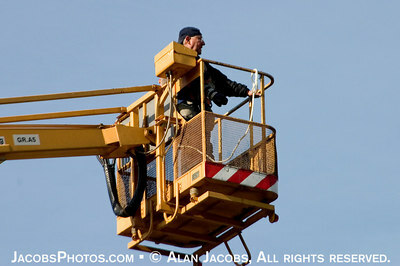 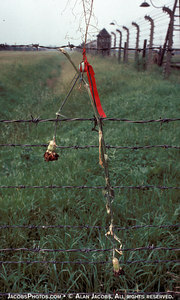 There were many places where people left flowers, many on the wires. 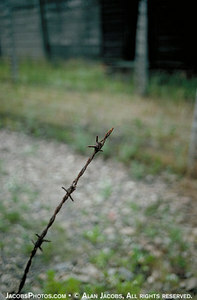 The flower is as I found it. 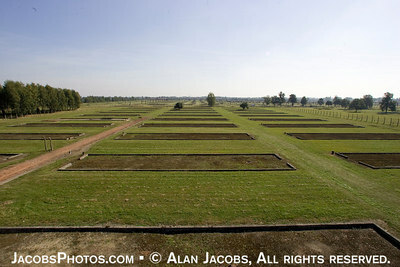 Men's quarantine camp BIIa, Birkenau, 2004 For orientation see hot map at http://www.remember.org/camps/birkenau/index.html Just click on a red rectangle and it will take you to that spot. 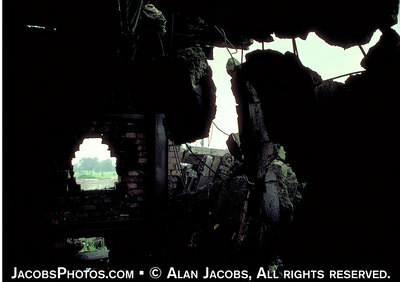 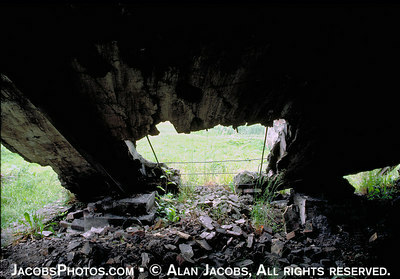 Ruins of Krematorium V, 2004, destroyed by the SS in Jan. 1945 in order to avoid discovery by the advancing Russians. 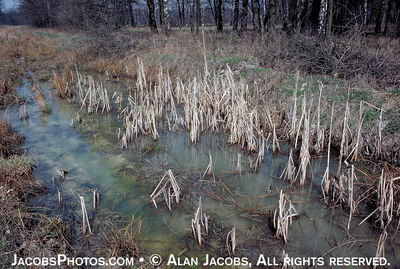 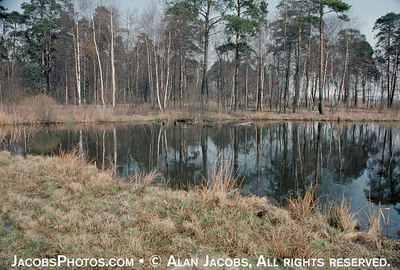 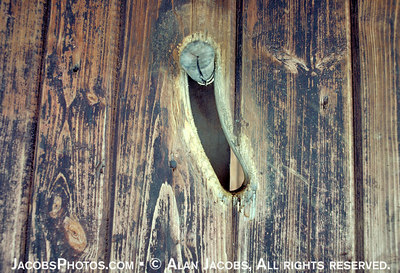 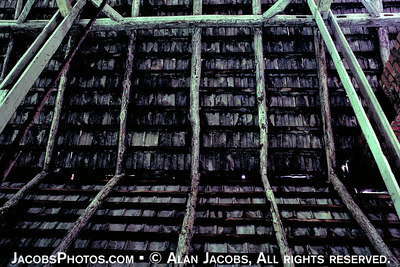 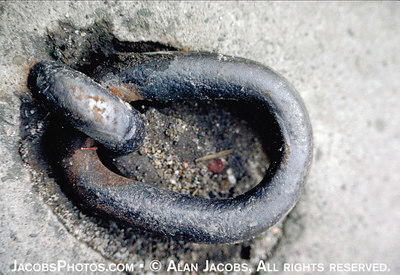 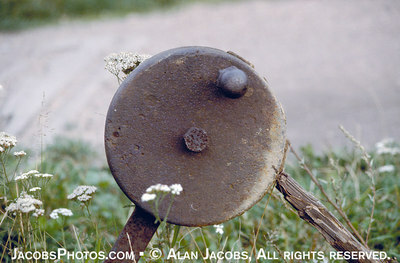 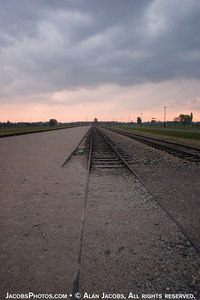 Kanada, Birkenau, 2004. 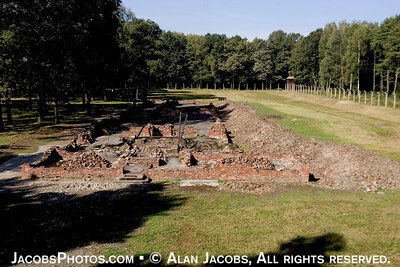 These foundations are all that is left of the barrack/warehouses, used by the Nazis to sort and store the possessions stolen from victims arriving in cattle cars. 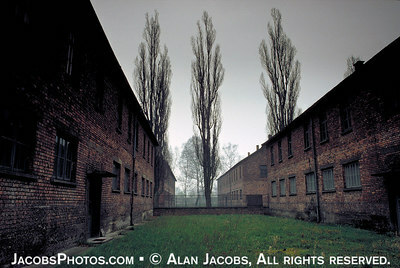 Go to http://www.ushmm.org photo archive and search for Kanada/ Birkenau. 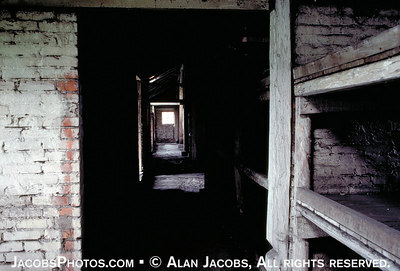 These are actual photos taken by the SS.